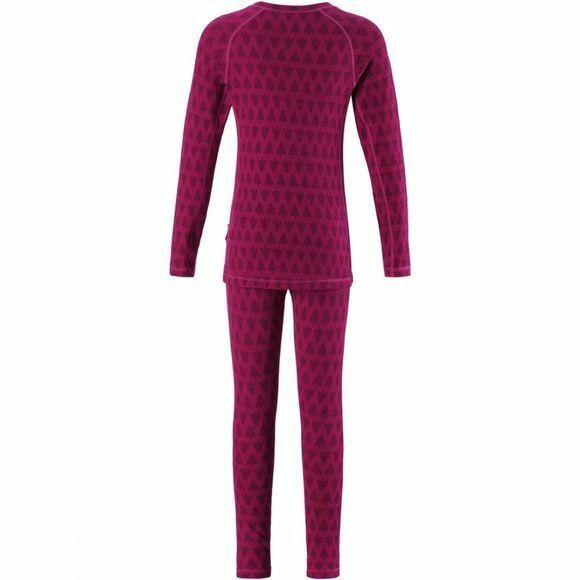 This kids' thermal underwear set is made of super soft jacquard wool knit that is perfect for temperature control making this base layer also ideal for year-round use. This kids' thermal underwear set is made of super soft jacquard wool knit that is perfect for various temperatures making this base layer also ideal for year-round use. The material is soft against the skin thanks to the flat seams that do not chafe. The elastic knit provides a snug fit but allows for movement, too. 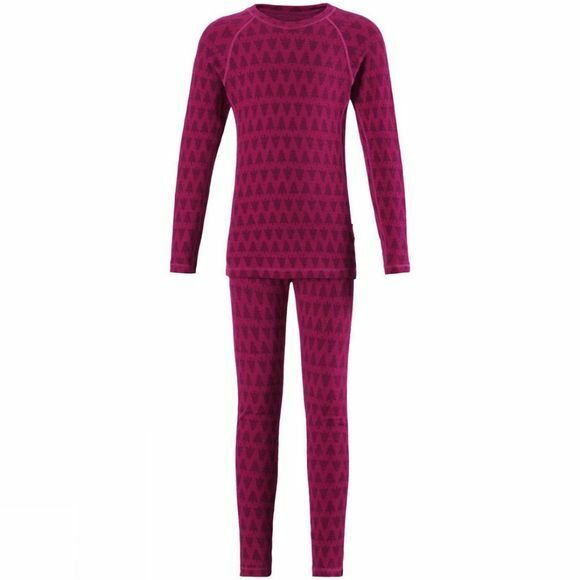 This thermal underwear set for children is an ideal base-layer for the slopes and active winter outings in a beautiful jacquard knit pattern!